Landscaping business is a comfortably profitable one, and that is without the health and physical benefits of working outdoors. There is hardly any risk of running out of projects or clients to work for, as there are a lot of homeowners without enough time to tend to their yards or gardens. According to a few sources, landscaping is any activity that modifies the visible features of an area of land. This could include living elements, such as flora or fauna…natural elements such as landforms, terrain shape…abstract elements such as the weather and lighting conditions. Therefore, it isn’t farfetched to assert that the landscaping business requires expertise in horticulture and artistic design. Basically, landscaping involves professional beautification of a piece of land- a yard, garden or any like such. Some landscaping companies require workers to have a degree in landscape architecture. To start your own landscaping business, having a degree in landscaping courses is not a criterion; however, it is essential to have some skill in gardening or lawn maintenance. Landscaping is a business based mainly in the outdoors; however, the business is not strictly limited to working in the sun; there will be some aspects that require paperwork and business planning. 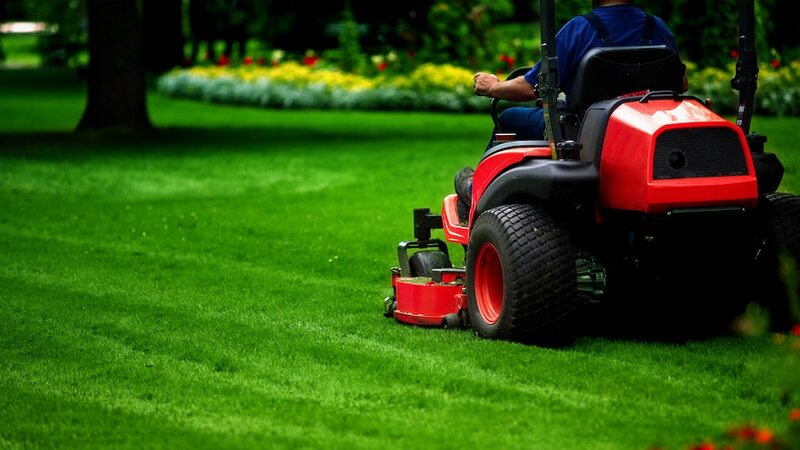 The very first step is choosing the kind of landscaping services you will offer. You will need to provide services that your target customers can’t with other landscape businesses. Find an area of garden work you particularly enjoy and are skilled at, and make yourself an expert at that. Of course, as you expand, you will offer a diverse range of services but, as a beginner, first, establish yourself as a specialist in a particular field. Your business plan is crucial for the proper monetization of your business. The biggest financial strain will be raising funds to start up the business. Thus, consulting with an accountant is a good idea here. Licensing and legal requirements differ in each region, but they definitely exist and are necessary for every legal business. For landscaping business which involves chemical and refuse accumulation, you may need to get extra licensing. You may need further licensing to cover your use of toxic chemicals in fertilizers and pesticides. Waste removal and an irrigation license may also be a necessity for states with tight laws on these. A contracting work requires licensing in some states, so make inquiries and familiarize yourself with the laws in your area. After figuring out a comprehensive plan, you will need to have an estimated pricing, because customers will need an approximated price for your services before hiring you. You should also figure out your turn-around-time, skill, and labor. Proper pricing is just as important as your skills delivered. A too-low pricing will cut down on your profits and may affect your budget, but a too-high pricing may also chase away potential customers. Create a well-balanced pricing system; taking into account everything from your professional skills to your competitor’s pricing. Most likely, the equipment you will need for jobs will get more advanced as your business grows; you should not expect to have all of the equipment available to be an effective landscaper. You should ensure to buy quality equipment to reduce costs of constant replacement. Instead of opting for the higher priced new equipment, look into yard sales and auctions. Insure your equipment to have security on issues like breakdown or theft. The number and qualifications of workers you will need to hire depends solely on the type of business you intend to run or the work you need to do. An ad calling for landscape workers will attract all kinds of labor- skilled and unskilled- so, if the job you are contracted for requires a certain skill, be sure to include this in your ads. Your workers could be permanent hired staff or temporary ones; all depending on the landscaping jobs that you regularly get. For a one-time job with a large organization, for example, you will be better off hiring temporary labor for that one job. Find ways to keep the most skilled employees as they will contribute to the growth of your business. The early stages of your business will rely largely on word-of-mouth advertisement and small-scale ads. You can begin by placing ads in your local newspaper or fliers. Social media is the cheapest and most effective way to spread the word about your business services. Establish social media pages showcasing your services and use networking platforms like LinkedIn to allow people to search and find your services. The bulk of your customers will find you from referrals coming from your existing customers. Ensure you maintain quality services and give them incentives for coming back to you with referral bonuses or discount. To further maintain and attract customers, provide your customers with superior customer support and services and offer the best in relationship marketing. Seek out opportunities to further expand your business, by offering more services and products. Broaden your work scope by acquiring a degree in landscape architecture. A certificate in landscape architecture allows you to expand your company to offer more diverse services.